Abnormal bone metabolism is a recognized complication of end-stage renal disease, but fracture risk following renal transplantation has not been well quantified. We followed the 86 Olmsted County, Minnesota, residents who underwent initial renal transplantation in 1965–1995 for 911 person-years (median, 10.6 years per subject) in a retrospective cohort study. Fractures, and possible risk factors, were assessed through review of each subject’s complete community medical records. Altogether, 117 fractures were observed during follow-up extending to 33 years. The cumulative incidence of any fracture at 15 years was 60% versus 20% expected (P<0.001). There was a significantly increased risk of fractures generally [standardized incidence ratio (SIR), 4.8; 95% CI, 3.6–6.4] and vertebral (SIR, 23.1; 95% CI, 12.3–39.6) and foot fractures (SIR, 8.4; 95% CI, 5.1–12.9) especially. Age at first transplantation, renal failure due to diabetes, pancreas transplantation, peripheral neuropathy, peripheral vascular disease and blindness were all associated with overall fracture risk. In a multivariate analysis, however, only age and diabetic nephropathy were independent predictors of fracture risk generally, while higher activity status was protective. 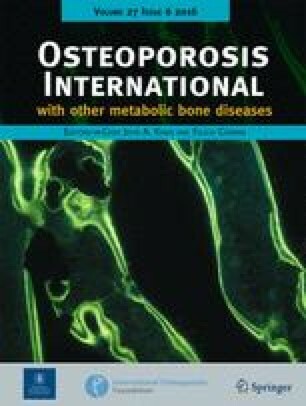 Diabetes was the only independent predictor of lower limb fractures, whereas age and osteoporosis history predicted vertebral fractures. Cumulative corticosteroid dosage was not associated with increased fracture risk in this analysis. 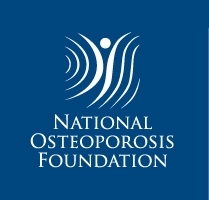 Despite the fact that our patients had few risk factors for preexisting bone disease attendant to postmenopausal osteoporosis, prior corticosteroid use or renal osteodystrophy, these data indicate that renal transplantation is associated with a significant increase in fracture risk among unselected patients in the community. Diabetic patients, particularly, experience excess lower limb fractures. Patients and their care providers should be aware of this elevated fracture risk, which continues long-term. Presented at the 24th Annual Meeting of the American Society of Bone and Mineral Research in San Antonio, Tex., USA. This project was supported in part by grants AG-04875 and AR-30582 from the National Institutes of Health, US Public Health Service. The authors would like to thank Mrs. Cindy Crowson for assistance with data analysis and Mrs. Mary Roberts for help in preparing the manuscript.